Dover maintained their one point lead at the summit of the National League table with victory against Eastleigh at Crabble on Saturday. James Alabi and Connor Essam both grabbed their first goals of the season as Chris Kinnear’s men extended their unbeaten league run to nine matches. Dover started strongly with Nortei Nortey drilling a 20-yard effort into the arms of visiting keeper Ross Flitney. And the home side appeared refreshed following a two-week break with Alabi and skipper Mitch Brundle narrowly off target with shots from range. Mitch Walker received a fright when Mark Yeates’ free kick took a deflection, but the ball landed straight into the arms of the home keeper. But normal service was resumed on the half hour mark as Alabi grabbed his first goal in a Dover shirt. The striker, on-loan from Tranmere, nodded in Mitch Pinnock’s long throw at the second attempt to put the leaders ahead. Josh Passley then almost notched his first strike for Whites seconds later, but his curling effort fizzed agonisingly wide. Some neat intricate play ended with captain Brundle volleying Femi Ilesanmi’s cross just wide as Athletic continued to pepper Flitney’s goal with shots. 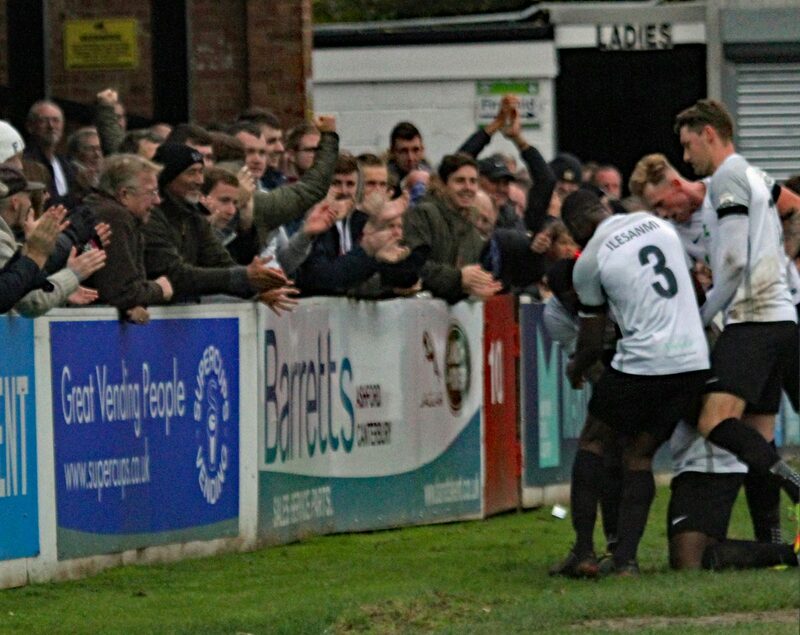 Ilesanmi was indebted to Walker after Dover’s stopper denied Ben Williamson in the box after the Nigerian defender passed the ball straight to the attacker. 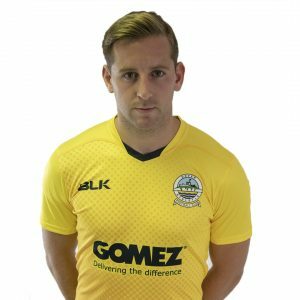 Flitney saved well top scorer Ryan Bird a 10th of the season, getting down quickly to palm the forward’s low drive away for a corner. And following the restart, the visiting keeper had to be at his best deny Alabi. The striker collected Pinnock’s throw, turned smartly and fired goalwards, but his strike was well blocked by Flitney. But there was nothing Flitney could do about Dover’s second on 57 minutes. After Bravely blocking Essam’s header from a Brundle corner, he could only watch the sweeper slam home his first of the campaign from the rebound. Alabi fired over after a lung busting run and cross from Nortey and Ilesanmi’s drive from sub Kadell Daniel’s lay-off flashed wide of the mark. 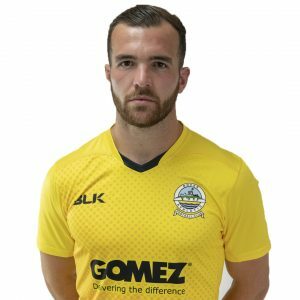 Dover’s claims for a handball in the area against Callum Howe were waived away by the referee after a shot from Nortey appeared to bounce off the Lincoln loanee. And Walker spectacularly tipped away Howe’s injury time blast from the edge of the box. Earlier, Kinnear made one change to the side that drew at Gateshead, with Ilesanmi returning to the starting line-up following suspension, replacing Loui Fazakerley who was a substitute. Dover next travel to Brisbane Road to face Leyton Orient on Saturday 18th November. Dover: Walker, Gallifuoco, Essam, Parry, Passley, Brundle (c), Nortey, Ilesanmi, Alabi (Daniel 71), Bird, Pinnock. Subs not used: Richards, Fazakerley, Okosieme, Deen-Conteh. Eastleigh: Flitney, Hoyte, Howe (c), Boyce, Shaw, McSheffrey (Strevens 62), Hollands (Matthews 62), Miley, Yeates, Constable (McAllister 65), Williamson. Subs not used: Zebroski, Read.